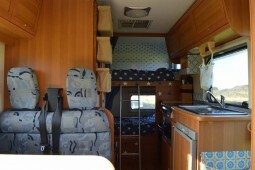 Rent this spacious 6 berth beautifully decorated motorhome and wake up at the beach every day. Perfect for adventurous holidays in the South West or following the sun to Europe and beyond. 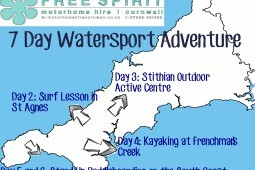 Freespirit is owned by a local family and is based on a working dairy farm in picturesque West Cornwall, between St.Ives and Lands End. There is off street parking here for your car. 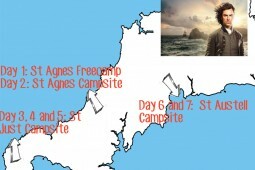 We are happy to offer advice on the best places to stay in Cornwall, share secret camping spots and recommend places to visit in Cornwall. 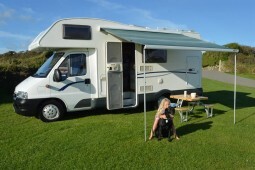 We will make ourselves available via phone during your rental period should need you need advice about the motor home helping to make your holiday hassle free. Proud to say that you will find no extra hidden costs when you hire from us. 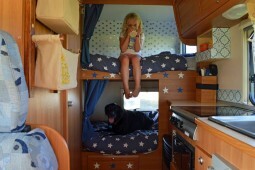 Extra drivers, European cover, bike rack and bed linen all come as standard. Comes fully insured for any driver over 23 years*. weekly, short break, and monthly prices available. 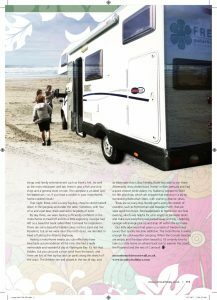 NOW with heavy duty leisure battery and solar panels making it great for FREE CAMPING! 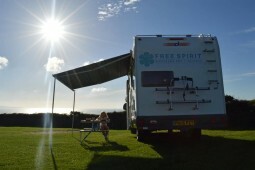 Take a tour around the Freespirit Motorhome. You can see how big the interior space is and how large and comfortable the beds are. 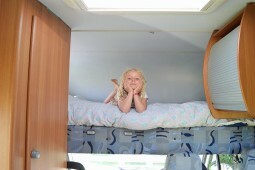 The motorhome comes with all bed linen. Take a look around the kitchen and have a look in the cupboards, the motorhome come supplied with all kitchen utensils and serve ware. 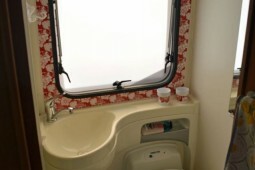 Take a look in the bathroom and see how it all works. We advise that you download this video for reference during your trip. 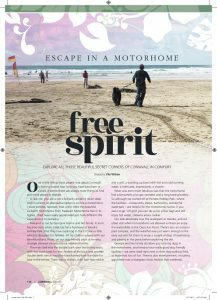 Freespirit fully booked or just fancy staying in one place? We also own a static caravan on our working dairy farm in Morvah on the North West coast of Cornwall situated between Lands End and St. Ives. Enjoy sea views and a warm family welcome from us for your holiday. Please see the above link for details. 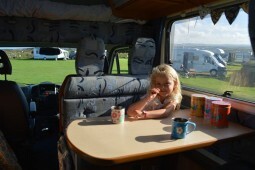 Enjoy these tried and tested recipes, perfect for motorhome cooking. 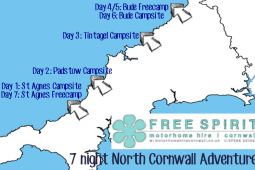 © 2015 Freespirit Motorhome Hire.